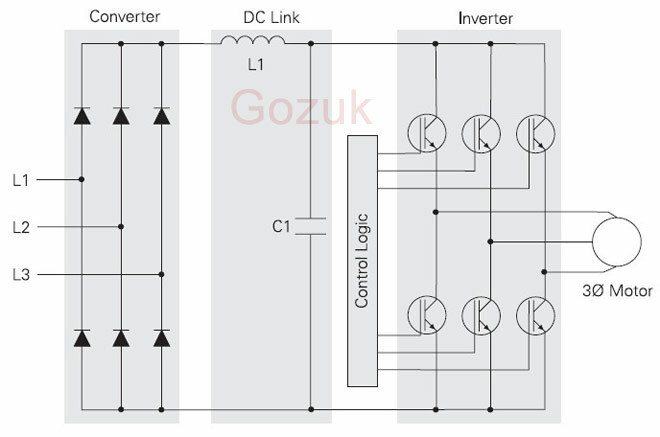 The heat in the variable frequency drive due to the energy dissipation of the electronic components (rectifier and IGBT) must be dissipated to a heat sink via the cold plate of the variable frequency drive. An increase of the heat transmission rate can only be realized to a certain extent by increasing the surface of the heat sink. An additional increase of the heat dissipation by increasing the heat sink is not possible. The variable frequency drive must be mounted with the cold plate on an external heat sink with the lowest thermal resistance possible. The thermal resistance Rth is calculated from the difference between the maximum heat sink temperature and the ambient temperature, referred to the energy dissipation of the variable frequency drive. The ambient temperature to be considered refers to the immediate environment of the variable frequency drive. Clearance of approx. 300 mm above and below as well as 100 mm on both the left and right side of the variable frequency drive. 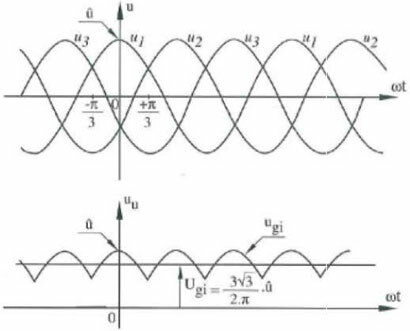 The VFD energy dissipation values are also valid for the switching frequencies of 4, 8, 12 and 16 kHz, as at these operating points, the output current is reduced. In the following a fan cooling system is described as an example. For calculating the maximum permissible heat resistance Rth enforced for cooling by means of a fan, a proportionality factor is introduced. 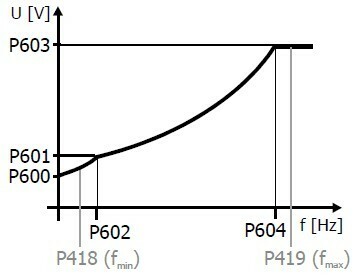 This factor describes the increase of the VFD maximum permissible thermal resistance at increasing flow rate of the cooling air. Rth: Maximum permissible thermal resistance with free circulation of air. Comply with the operation diagrams for VFD power reductions (derating). 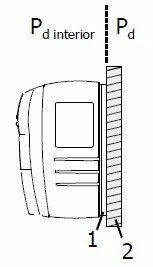 Comply with the thermal limiting values of the variable frequency drive. Additional power losses Pd interior are dissipated as heat into the interior of a control cabinet. 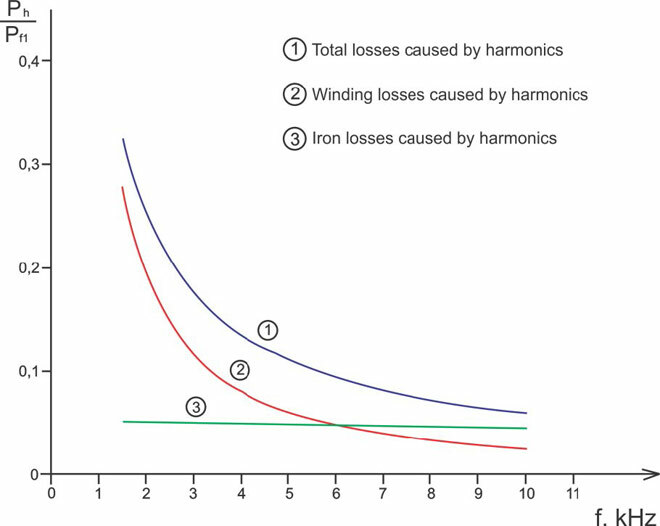 These losses may amount to 30% of the total energy dissipation and must be considered in the calculation of the volume of the control cabinet. If several variable frequency drives or other heat-producing devices are mounted on a common heat sink (sum cooler), the losses of all devices must be added up. The contact surface of the external heat sink must have a sufficient thermal conductivity. The temperatures can be displayed in the VFD actual value menu. When the maximum permitted temperatures are reached error-switch-off is effected and an error message is triggered. Before the VFD maximum permitted temperatures are reached a warning message is triggered. An error-switch-off can be avoided. The temperature values for the warnings can be set via VFD parameter. To avoid serious physical injury or considerable damage to property, only qualified staff may work on the variable frequency drives. During operation, the heat sink can reach a temperature of up to 75 °C. Do not touch the heat sink during operation. The heat sink may be hot even some time after the variable frequency drive was switched off. The installation surface of the external heat sink must at least be as large as the cold plate surface. The contact surfaces of the external heat sink and cold plate must be plane. The contact surfaces must be clean and degreased. For fixing the variable frequency drive, drill 6 threaded holes M6 in the installation surface. Clean the contact surfaces of the external heat sink and cold plate. Apply a thin and uniform film of heat conducting paste on the cold plate. The heat conducting paste compensates the roughness of the contact surfaces and thus the heat transmission resistance between the cold plate and the heat sink. In this way, the cooling efficiency is increased. Mount the variable frequency drive vertically on the heat sink using six M6 bolts. The bolts must have a minimum length of 30 mm. Tighten all bolts uniformly. The maximum tightening torque of the fixing bolts in a typical construction is 3.4 Nm.